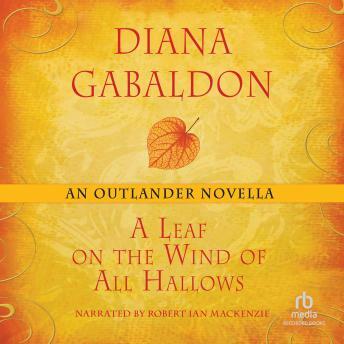 Available for the first time as an exclusive eBook in this original Outlander novella, Diana Gabaldon reveals what really happened to Roger MacKenzie Wakefield's parents. Orphaned during World War II, Roger believed that his mother died during the London Blitz, and that his father, an RAF pilot, was killed in combat. But in An Echo in the Bone, Roger discovers that this may not be the whole story. Now, in "A Leaf on the Wind of All Hallows," readers finally learn the truth.